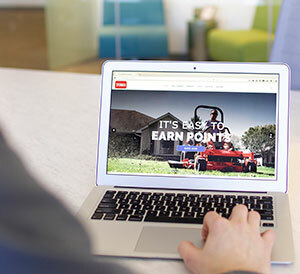 Toro launched its new Toro Parts & Accessories Rewards Program, a loyalty program that allows landscape contractors to earn rewards by purchasing Toro Genuine Parts and accessories. The rewards program is managed through a website that can be accessed by either smartphone, tablet or computer. Landscape contractors will earn two points for every dollar purchased, and record their points by uploading a picture of their receipt to their account. The website records the part numbers and quantities shown on the receipt and then assigns the appropriate point value from the purchase, which is then available in the landscape contractor’s account. Landscape contractors can redeem points for a variety of rewards, including gift cards toward food, goods, future Toro parts purchases or Toro merchandise. Additionally, the new program allows landscape contractors to earn additional points by viewing videos and sharing Toro content via their social media networks.